Property 6: Ski Mt Baker * Eagle Watch from our Guesthouse Along the Nooksack River! Property 8: le bon temps roulle...!! 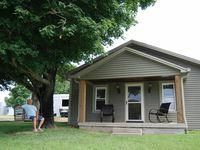 Property 16: Beautiful dog-friendly home on the lake! Enjoy great views & a private dock! Property 21: Private, Quiet Country home just 20 minutes from Santa Fe. Property 27: Beautiful Mountain Views with Trout Creek Frontage! Ten Miles from Yellowstone! 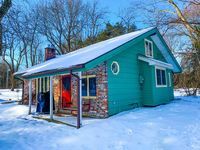 Property 29: Intimate cabin for two w/a private hot tub & wood stove! Property 32: Buck Horn Lodge, Private, 3800' w/view of Maggie Valley, Grill! Property 34: Awesome mountain views with recent clearing! Love the country and being on the ranch. We really enjoyed our stay. We were not able to meet Julia, but did meet her husband, very nice guy, he actually brought us some eggs from the chickens. We really loved the property, waking up with the rooster and seeing cows, was a plus. Totally recommend this place to anyone. I just want to add, that they have a beautiful ranch, if you like the country, this is the place to stay.